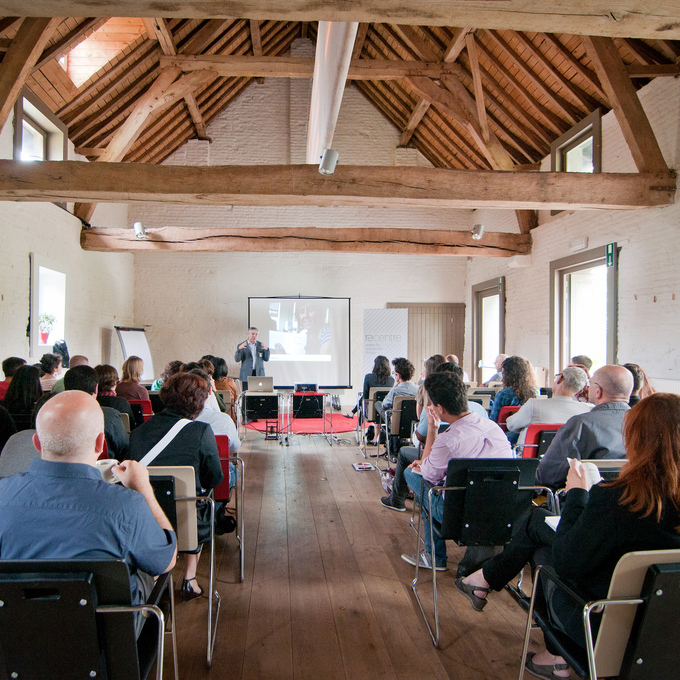 In August 2011, the IwB partnered with REcentre to deliver a Sustainable Summer School in the Meuse-Rhine region of Belgium and the Netherlands. REcentre is a cross border knowledge and promotion organization located in the region of Liège (Belgium), Hasselt (Belgium), Maastricht (Netherlands) and Aachen (Germany). REcentre works with designers, students, companies, and governments to develop projects with a social agenda and to promote sustainable design practice. REcentre was aiming to set up an education programme in the region focused on this theme. To this end, it ran the Sustainable Summer School with the IwB as a week long workshop, held between 19 – 25 of August 2011. Three themes crucial to the development of the region’s cities were tackled: Public Space, Food, and Water, with the theme of ‘identity’ shared between them. How can we develop sustainable design practice and education in the Meuse-Rhine region? The Sustainable Summer School aimed to support the cultural development and trans-border collaboration goals for the Euregion and highlight the importance of sustainable design. 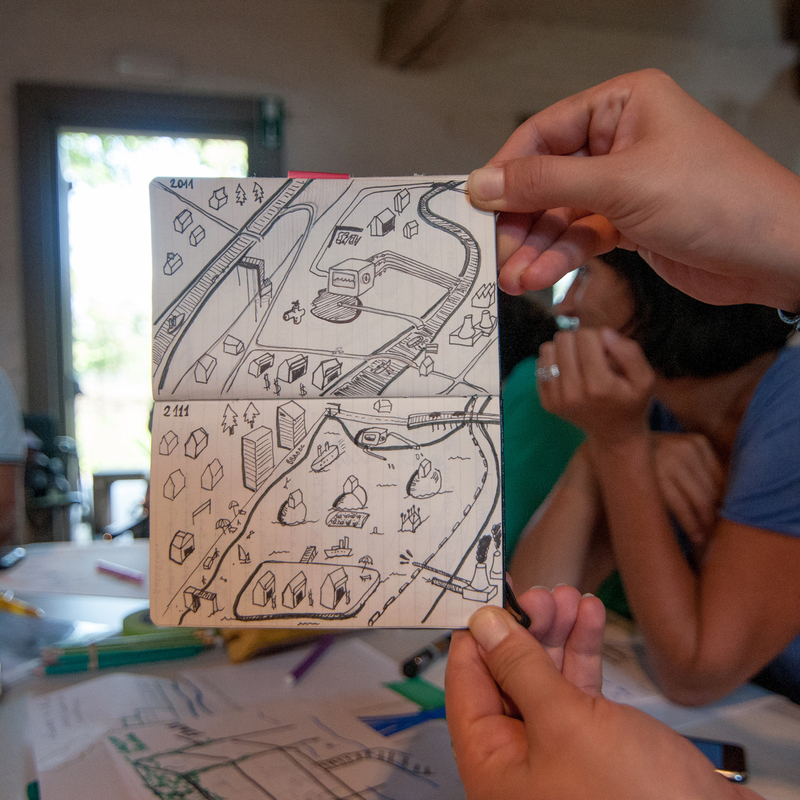 Working with the charrette method, the Sustainable Summer School participants, strove to gain a deeper knowledge of the issues facing the case study cities–Liège, Genk, Maastricht and Hasselt–and more broadly, the Meuse-Rhine Euregion. The project leveraged existing expertise in sustainability in the region and brought together partners that are pioneering sustainability in their fields. 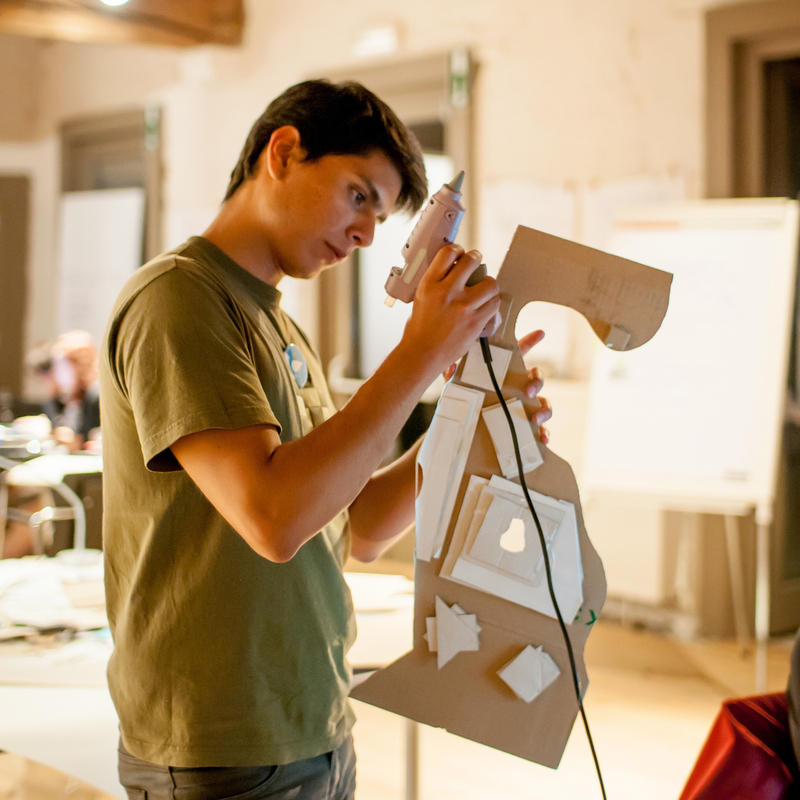 See the Sustainable Summer School in action! View our video-summary of the project. The location and focus of this project is a historical region known as the Meuse-Rhine Euregion. Formed in 1976, around the mining industry, the Meuse-Rhine Euregion (euroregion) is one of the oldest cross-border partnerships. In 1991, the region’s legal status was confirmed by becoming a foundation under Dutch law. Partners of the region include the southern portion of the Province of Limburg – Pays-Bas (Netherlands), the Province of Limburg (Belgium), the Province of Liège (Belgium) the Region Aachen e.V. (Germany) and the German-speaking Community of Belgium. The Meuse-Rhine cultural region is home to almost 4 million residents of Germany, Belgium and the Netherlands and is the site of several important cities including Maastricht, Liège, Genk, and Hasselt. Many projects in this region have focused on trans-border collaboration to develop and enhance the unique identity shared by the residents of these different provinces and countries. More than fifty participants from eighteen countries came together in the Belgian countryside to tackle sustainability issues. They were supported by a team of over fifty educators, facilitators, expert advisors, guest lecturers, and stakeholders, who brought their skills and knowledge about techniques and the issues faced by these communities to each of the teams. Participants were divided into 6 teams to tackle each of the case study sites. Over the course of 7 days, these teams researched the problem by visiting sites and meeting with community members. They were guided through the process of research and analysis and then worked together to develop design solutions for each of the case study. The curriculum of the Sustainable Summer School incorporated interdisciplinary design practices, including design research and synthesis, brainstorming and ideation techniques, feasibility evaluation, risks/threats analysis, sustainable design practice, and effective design communication of concepts. Each team produced a unified design concept and presented their ideas to a panel of experts, faculty, and stakeholders from the regions represented. Deliverables included: a physical model, a systems diagram, content and features of the site, programming schedule that described the new design scenarios, and user experience scenarios. Summaries of the challenges and teams proposals are listed below. For more information on the project see the Sustainable Summer School Report. The teams working in Maastricht on the theme of food were given the task of designing alternative systems for the distribution of products from one urban farm in Maastricht that was forced to close. In a region where the land is very fertile that production is almost a given, distribution is a problem. The emphasis was on the development of various distribution scenarios that could be run on a small scale within Maastricht. The goal was to engage local residents not only in the demand end of the distribution process, but also in the running of these scenarios. Team one in Maastricht proposed a three-part approach to enhance local food culture through a system of scalable hubs, a smartphone application connecting people, and an educational campaign. The final concept was called the ‘Hub,’ a system of micro-activities which aims to better connect the urban farmer to the urban consumer. The teams working in Hasselt on the theme of water were assigned the task of designing innovative new uses for what is currently waste-water that is pumped from former mining areas into nearby canals. They proposed a new regional master plan with sustainable agriculture, business, and recreational water features to raise the local visibility of the issue, while also providing valuable uses for the surplus water in the area. The aim was to look at the town’s excess water as an asset to attract business and raise the economy and culture of the area. The teams suggested leveraging the local waterway system by using a food-barge to collect and distribute food, as well as to engage and educate people about local food issues. The teams developed WET (Water Ecology Transition team), a phased regional strategy involving three hubs: Watergate, a tourism focused aqua park and entrance to the Limburg National Park, CleanTech, a business hub focusing on green technology businesses, and Living Labs, a sustainable agriculture and water science centre of research. The teams working in Liège on the theme of public space were assigned the task of designing a new urban neighbourhood in the historical, Saint-Gilles area of the City of Liège. The area is experiencing economic decline with a lot of vacancy and poorly maintained buildings, but is rich in population, with lots of student housing and engaging project ideas and initiatives. The Liège teams proposed to reclaim the street through a cleverly funded community project that would engage residents and encourage community connections. The proposal looked at how small actions in a neighbourhood could make a neighbourhood safe through communal sharing that would bring security and interconnection. The teams working in Genk on the theme of public space were assigned the task of designing a new urban neighborhood in an old mining area of the City of Genk, specifically Vennestraat, a former flourishing street. In Genk, diversity is seen as an impediment, with racial and cultural tensions between the area’s different inhabitants. The population in the area is highly diverse, has a low education levels, high unemployment, weak social cohesion, and its commercial activities are under pressure. The Genk team proposed utilizing student art projects as part of a community revitalisation that would convert local terrils or slag heaps into mountains of flowers, purifying the landscape both figuratively and literally. In addition, signage and wayfinding were proposed, connecting the street and its businesses to the heavily trafficked highway, to encourage regional shoppers to intermingle with locals.